Our RD Sharma Textbook Solutions are considered extremely helpful for solving the tough questions which are asked in the CBSE Class 9 exam. TopperLearning Textbook Solutions are compiled by subject experts. Herein, you can find all the answers to the textbook questions for Chapter 23 - Graphical Representation of Statistical Data. To represent the data by a bar graph, draw horizontal and vertical axes. Mark census year on the horizontal axis and the population on the vertical axis. 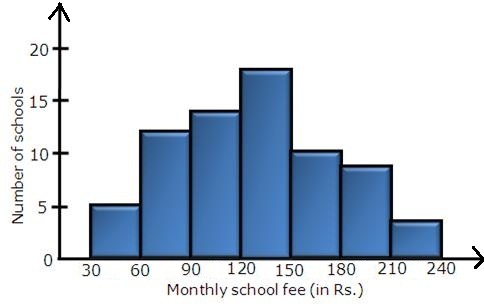 (i) The given bar graph represents the number of tickets of different state lotteries sold by an agent on a day. (ii) The number of tickets of Assam state lottery sold by the agent is 40. So, the given statement is false. (i) It gives information regarding rice and wheat production in various states of India. (ii) W.B is the largest produer of rice. (iii) U.P is the largest producer of wheat. (iv) The total production of rice and wheat is maximum in U.P. (v) The total production of rice and wheat is minimum in Maharashtra. (i) Total number of newspapers published in Hindi, English, Urdu, Punjabi and Bengali = 3700 + 3400 + 700 + 200 + 1100 = 9100. (ii) The number of newspapers published in Hindi = 3700. (iv) Bengali, Gujrati and Marathi, Malayalam are the two pairs of languages which publish the same number of newspapers. (v) Punjabi is the language in which the smallest number of newspapers are published. (vi) Hindi is the language in which the largest number of newspapers are published. (vii) English is the language in which the number of newspapers published in between 2500 and 3500. Number of newspapers published in English = 3400. The number of newspapers published in Malayalam and Marathi together is less than those published in English. So, the given statement is true. The number of newspapers published in Telgu is less than those published in Tamil. (i) It gives information regarding the production of rice crop in India in different years. (ii) The crop-production of rice in 1970-71 = 42.5 lakh tonnes. (iii) The difference between the maximum and minimum production of rice = 55 - 22 = 33 lakh tonnes. (i) It gives the information about the public expenditure on education by various state subcontinents. (ii) In Africa the expenditure on edcation is maximum in 1980. (iii) In East Africa the expenditure has gone by from 1980 to 1990. (iv) In Africa the gap between 1980 and 1990 is maximum. 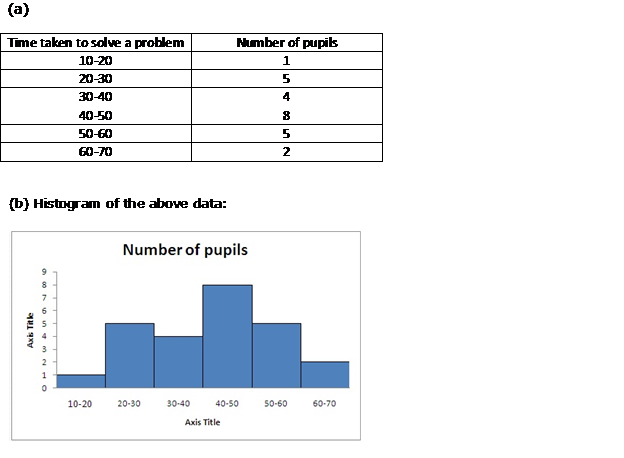 The first step in reading a bar graph is to know what it represents or what is the information given by it. For this, we read the captions which are generally written just below the horizontal line (x-axis) and adjacent to vertical line (y-axis). After knowing that what does a bar graph represent, we read the scale so that we can know the precise values in the given data. After reading a bar graph one must be able to draw certain condusions from it. Drawing some condusions from a given bar graph means interpretation of the bar graph. (ii) In 1995, the amount of loan is not increased over that of the preceeding year. (ii) It is seen that the height of bar corresponding to year 1994 is the highest. Hence, the amount of manure manufactured by the company was maximum in 1994. (iii) It is seen that the manure production decreased in the year 1995 and 1997. In 1986-87 the rate of increases in exports is maximum over the precending year. It is seen from the graph that the quantity of goods carried in the years 1950-51 and 1965-66 are 20 crores tones and 9 crores tones. Clearly 20 is more than twice of 9. Hence, the statement is true. Bar graphs, Histogram, Frequency polygon are methods of graphical representation of statistical data. of a Frequency distribution in the form of rectangles. A Frequency polygon of a given Frequency distribution is another method of representing frequency distribution graphically. But a cumulative frequency distribution is a table in which cumulative frequencies are distributed over various classes. Thus, Cumulative frequency distribution is not a method of graphical representation. A curve that Represents the cumulative Frequency distribution of grouped data is called an ogive or cumulative frequency curve. A Frequency Polygon is drawn by joining the mid-points of first and last class intervals to the mid-points of the imagined classes adjacent to them. In a Histogram, the area of each rectangle is proportional to the Frequency of the corresponding class-interval. In a less than type ogive, the cumulative frequency is plotted against the upper limit of the concerned class interval. In a Histogram, the class-intervals are represented or taken along X-axis, and frequency on Y-axis. In a Histogram, the class-intervals are represented or taken along Horizontal axis (X-axis) and frequency on Vertical axis (Y-axis). In a Histogram, each class rectangle is constructed with base as (a - b) i.e. a class intervals from a to b ..... b to c etc. TopperLearning provides step-by-step solutions for each question in each chapter in the RD Sharma textbook for class 9. 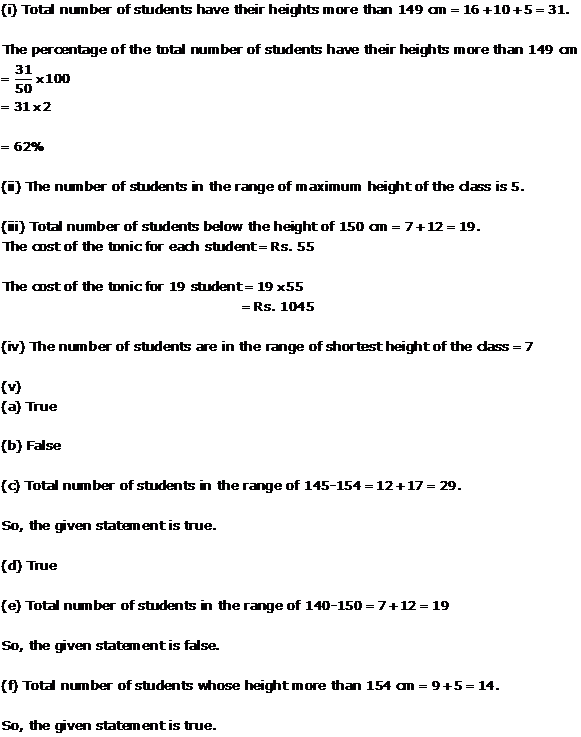 Access the CBSE Class 9 Mathematics Chapter 23 - Graphical Representation of Statistical Data for free. The textbook questions have been solved by our subject matter experts to help you understand how to answer them. Our RD Sharma Textbook Solutions will help you to study and revise, and you can easily clear your fundamentals of Chapter 23 - Graphical Representation of Statistical Data.